Do both cottages have two bedrooms? Do you have a barbeque? Do you have a check-in and check-out time? Can you drink your tap water? What electrical voltage does Bermuda have and do we need to bring plug adapters? Do we need to bring a hair dryer and do the cottages have an iron and ironing board? What kind of weather can we expect and how warm is the ocean? What is the best way to get arouond the island? Less than 60 seconds! 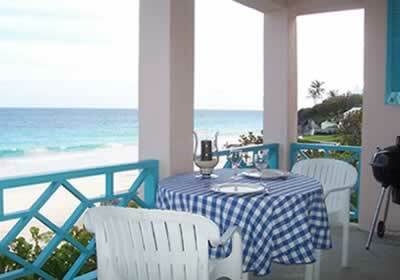 Beach Home cottage overlooks the beach and Beach Crest is about 25 steps away. Yes, both cottages have two bedrooms and will sleep up to 4 adults comfortably with one or two small children. We do not have a one-bedroom or one-room rate. Our accommodation rates are per cottage, per night. Yes. Each cottage has a charcoal barbeque and charcoal is readily available at the grocery stores. Yes. Complimentary WiFi is avaiable at both cottages. Our formal policy is check-in at 2:30 p.m. and check-out at 11:00 a.m. We will try and work with guests who have an early arrival or late departure but every situation is different and depends on arrival/departure times of adjacent guests. It is not necessary to bring your own as we do provide beach towels, however, some guests prefer to bring their own. We have a washer and dryer for housekeeping purposes. We recognize that guests coming for longer periods may need to do some laundry during their stay and we can make arrangements for this. 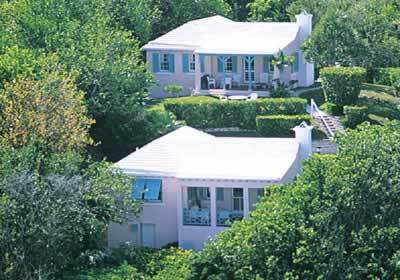 Water is a precious commodity in Bermuda as we rely on rainwater which we catch on our roofs and store in below ground tanks. Hence we are very conservative with our laundry and do the minimum number of loads that we can as washing machines are very large users of water. For this reason we do not exactly 'encourage' the use of the laundry facility, particularly in the dry periods. We do trust that our guests will be conscious of conserving water. Yes we do drink our tap water. We collect rain water on our roofs, most of which are painted white, and it is easy to see if they are dirty. Being in the middle of the Atlantic Ocean our rain is pure and with a clean roof and clean tank our water is good. Bermuda uses the same 120v, 60hz electricity as North America. Our electrical receptacles are also the same so if you are coming from the US or Canada you will not need any adapters. If you are visiting from Europe or other countries you may need a "North American" type adapter. We have a hair dryer at each cottage as well as an iron and ironing board. We also have a vacuum cleaner but don't expect you to use it!